Shipping cars could be safer and more efficient than ever before, thanks to innovative solutions developed by WMG at the University of Warwick for Trans-Rak International (TRI). Working with Warwickshire-based manufacturer Trans-Rak International, Piero Filippin, Innovation Manager at WMG, has created software that automates the task of finding the optimal placement of cars in a shipping container – allowing for any combination of make or model – and can double the vehicle capacity of shipping containers. The software operates a car racking system produced by TRI, and the combined technologies could lead to massive savings for the global automotive industry, enabling more cars to fit into fewer containers, as they are transported across the world. 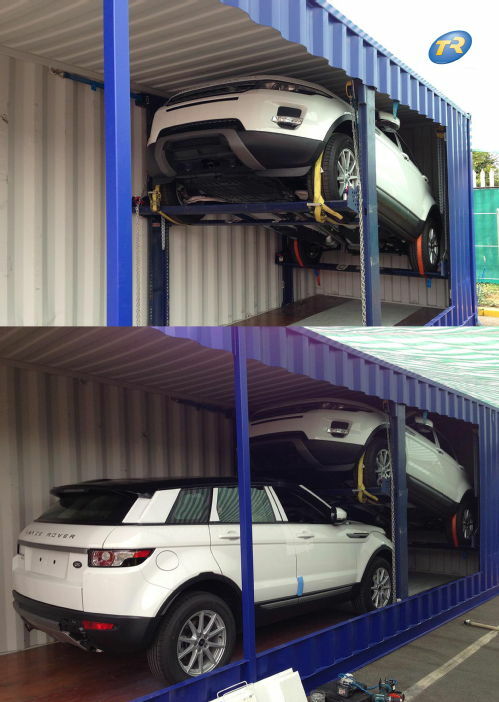 Currently, an average of two cars can be stored in each container. That capacity would be doubled to four cars using this revolutionary system. The software, developed by Piero Filippin, generates recommendations on any number of cars, of different makes and models, to be stored in the most efficient possible combination and position. Users select the number of cars, as well as which makes/models, they wish to transport. A numerical process simulates hundreds of thousands of different loading scenarios, and generates a report of the most efficient combination of cars in each container, as well as their exact positioning. The racking hardware, developed at TRI, comprises of removable, metal components that come together to form a variable-dimension frame, with which cars can be lifted up inside a container, allowing other cars to be positioned efficiently underneath the lifted cars. “The new system is a great example of how digital technologies can provide added value to manufacturing, and will help those involved in vehicle transportation to reduce costs and improve customer service,” continued Filippin. Paul Donaldson, Managing Director of Trans-Rak International, commented "the software developed by Piero Filippin will enable users to deploy our equipment more efficiently, futher reducing the number of containers that need to be moved for a given number of vehicles."